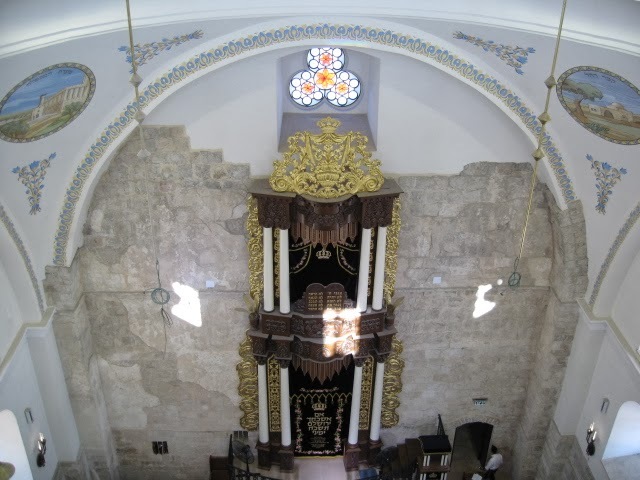 Earlier today, my friend Anita sent me an article about the Hurva Synagogue in Jerusalem. Dating back centuries, it was reconstructed and re-opened in 2010, after having lain in ruins since 1948. Actually, the building has been torn down several times, thus earning its name, which means "ruin" in Hebrew. 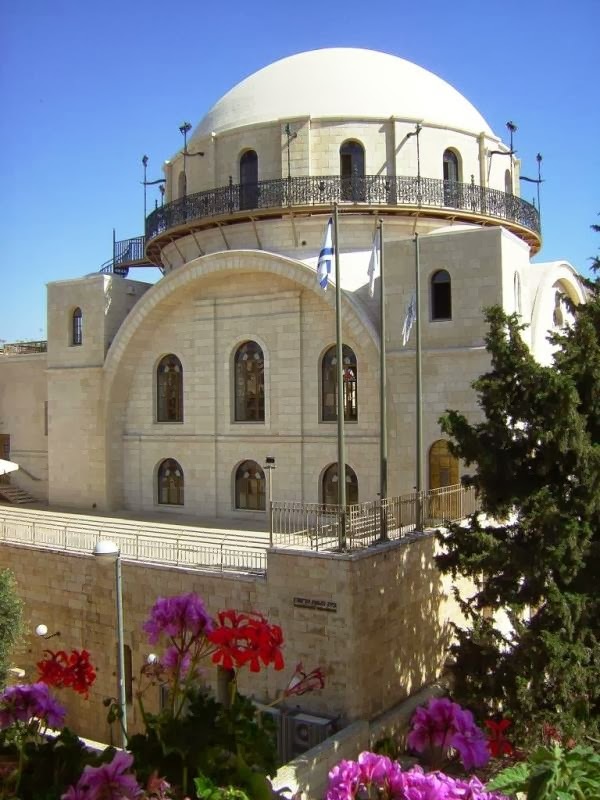 However, it's also been rebuilt, time and time again, not at least because of its importance as a symbol for Jewish presence in Jerusalem and Palestine throughout the ages. 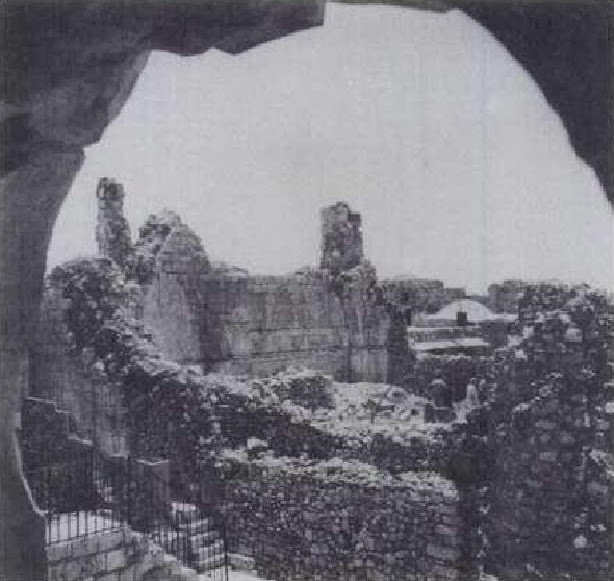 This also meant that the reconstruction was seen as a provocation by parts of the Arab population, who protested the re-opening, claiming that it was the start of a campaign to conquer Jerusalem on behalf of the Jewish people, eventually leading to Israel destroying landmarks of Arab presence in the city. For others, however, the reconstruction meant recovering a missing piece of the puzzle that is Jewish history. The old synagogue was a symbol of Jerusalem itself, and many later synagogues around the world were modelled on its neo-byzantine design. Getting it back, meant that a memory once again became reality. This blog is mainly about architecture, not politics, but it's interesting to see how the erection of a building has very different meanings, depending on who you're asking. The Hurva Synagogue is also a prime example of how important historical buildings and cities are to our identities, even when they are (almost) completely rebuilt. of the old ruin were incorporated in the new structure.